11 anime images in gallery. Tagged under Endo Aya, Fate/Grand Order, Rider (Quetzalcoatl) and Ruler Class. 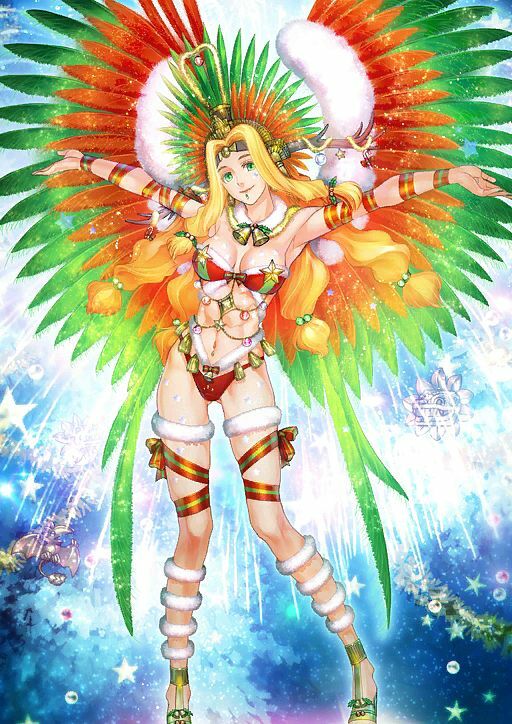 Quetzalcoatl can be summoned under the Ruler class in Fate/Grand Order for a limited time in the Christmas 2018 event in December.